The New Yamuna Bridge is the longest cable-stayed bridge of India, located in Allahabad. The bridge was constructed by the end of 2004 with the aim of minimizing the traffic over the Old Naini Bridge. 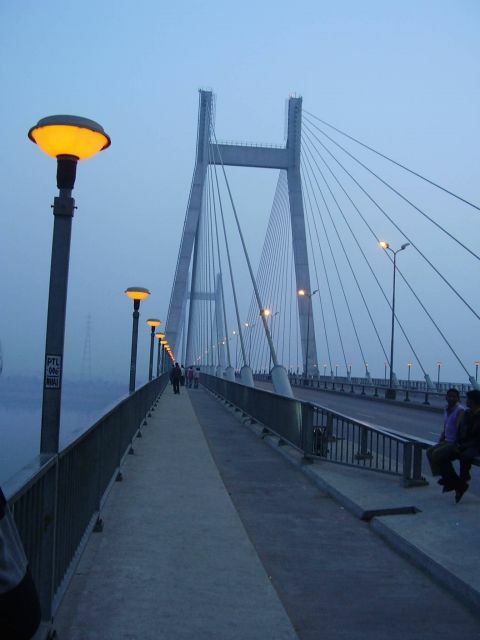 The bridge runs North-South across the Yamuna river and its connecting the city of Allahabad to its neighborhood of Naini. The construction was consulted by COWI A/S, a Danish consulting company. The total length of the bridge is 1510 m with a longest span of 260 m which is supported by a cable which stays in a concrete anchor bridges.